Some say life is great. Some say life is unfair. Others say life is how we make it. The truth is, life just is. It becomes either colorful or bland depending on the way we see it. And the way we see life is mostly dependent on the emotions that affect our perceptions or the way it shakes our souls. The ebbs and flows of emotions are overwhelming and may even be unbearable at times. Yet, all along, we have a spiritual toolkit that contains the essential tools needed in navigating our day to day existence. These tools have been with us since the beginning. And if you find yourself in an overwhelming or confusing situation, that’s the best time to spread open your spiritual toolkit and start to utilize the dormant powers within you. In military terms, surrender is the relinquishment of control over territory, combatants, fortifications or armament to another power. Surrender may also be the result of defeat in battle. In spiritual life, however, surrender means offering yourself to God or Higher Source. It’s not a sign of defeat, rather it’s the first step of winning because you’re offering yourself in alliance to a power higher than you are. It means letting go of what doesn’t serve you that you may embody your higher self. Hence, when you’re too overwhelmed by fear, anxiety, loneliness, or any other destructive emotions, start to surrender them. Instead of resisting these emotions, embrace them and let them go. You don’t have to shut down these emotions, you just have to accept their presence, acknowledge them and even feel them but without attachment. Surrendering is becoming a witness or an observer. You may explore the “whys” or may even tell yourself that you’ve already processed these issues way back. Perhaps there are still wounds beneath. Honor those wounds, yet continue to be a detached observer. Detachment is key in surrendering the undesired emotions that are coming up from time to time. Asking for help is a right you have been born with. Since we come into this world bringing nothing, we’re entitled to ask for help for our survival. When you feel you’re at your edge or simply lack resources, ask from your higher self or the Universe because you can’t receive help if you don’t ask. This is how free will works. Most often, when we don’t receive what we ask for, it’s not that the Universe isn’t willing to provide for us; it’s just that there are unconscious blocks that prevent us from asking properly. It might be our conditioning, feelings of unworthiness, pride, or whatever it is that urge us to stay “okay” even when we’re not. Asking for help is what prompts the universe to take action. This is just an example. You can use your own words whichever feels comfortable. The important things are to ask in an affirmative way and in the present tense. Once you have placed your order in the hands of the universe, trust. Give your full trust that you will receive what you are asking for. Don’t fret or worry whether you’ll receive it or not, and when will it be given to you. Entertaining these questions is allowing lower vibrational emotions like doubts and fears to create blocks to receiving your request. The best thing you can do is sit back and breathe. Trust that you’ve asked for the right thing and trust that the right thing will be given to you. And in time, your fears or anxiety would turn into peaceful surrender and deeper connection with who you are. After you have surrendered, asked for help, and trust, you can now choose to love. Choosing to do some acts of love and expressing gratitude are ways of increasing your vibration. The more you vibrate higher, the higher the chances that your requests be heard. It may be hard to choose love when you’re still hurting or afraid or anxious, but you just have to move because doing nothing will keep you stuck in life. Besides, you’ve already asked for the universe to help you. Now, it’s your time to help yourself out and choosing to love is returning to your true eternal nature. This is also a conscious way of realigning yourself with the higher frequency where the flow of love, harmony, bliss, happiness, abundance, and prosperity are readily available. Choosing love isn’t complicated either. The work of love can be done by connecting with nature, giving focus on your breath, following your passion, or doing something you love. Spending time with a friend or with your pet is a great bonding moment too. There are unlimited ways to express love. As long as you’re doing things the best of your ability and following your bliss, amazing things are likely to happen. 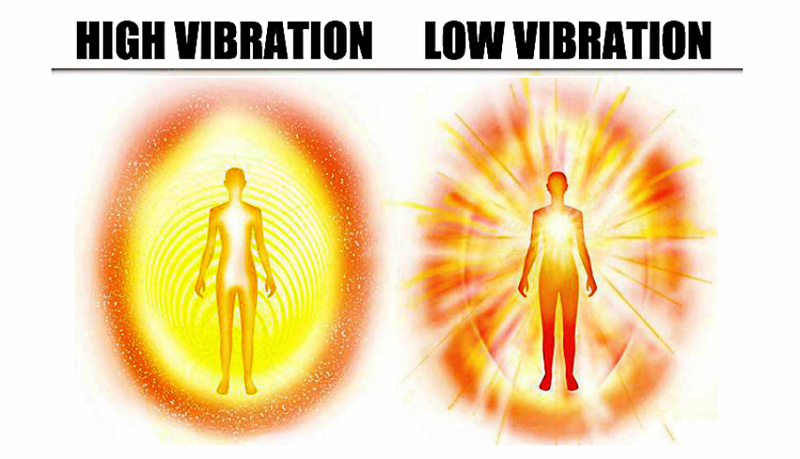 You will vibrate in your true unique energy signature and will find alignment in your day to day existence. No matter what the day brings you, know that you’re here not to become perfect but to experience. Always remember to surrender, ask, trust, and love. When you practice these things every day, you will one day find yourself in perfect alignment with who you are despite the stresses brought about by the daily hustles and bustles of life.